First Twilight on April 6th was a wonderful evening! 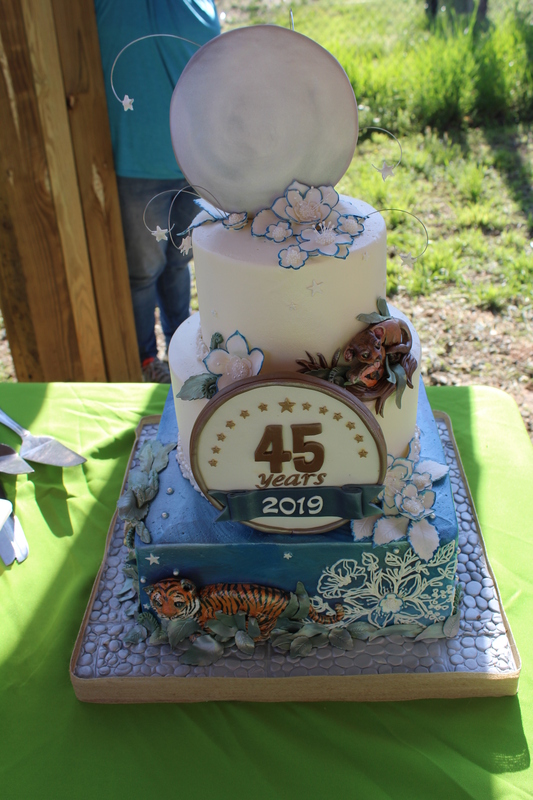 Nearly 100 of Carolina Tiger Rescue’s supporters came together on a beautiful spring evening to celebrate our 45th anniversary and learn more about our exciting plans for the future of the rescue. 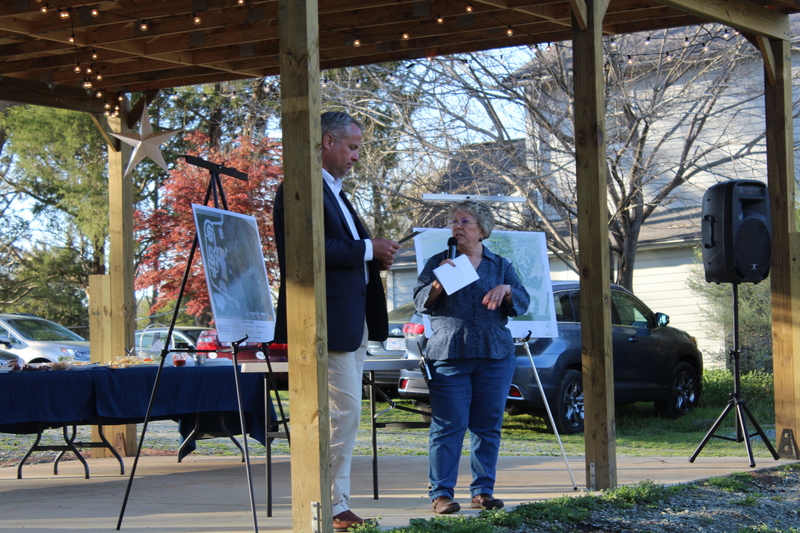 Executive Director Pam Fulk announced our plans to move into a campaign that will enable us to build a new education and visitor center. We need room to grow! 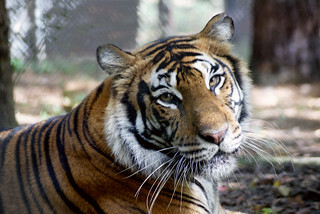 Our new space will allow us to educate more visitors, interns, school groups, and kids in summer camp about our animals as well as promote conservation and advocacy on the behalf of the wild cats kept in captivity and those remaining in the wild. Pam Fulk talks to the crowd about upcoming plans. Guests got a sneak peek at early renderings of what the building could look like while enjoying hors d’oeuvres and a magnificent 45th Anniversary cake donated by Maxie B’s Bakery. Following the short presentation, guests were treated to tours where one of the animals received a special “cake” of their own. It was an exciting and delicious evening for all, whether on two feet or four. We are so excited to take this next step and look forward to the chance to let you know more. Please get in touch if you have any questions or would like to find out how you can help. 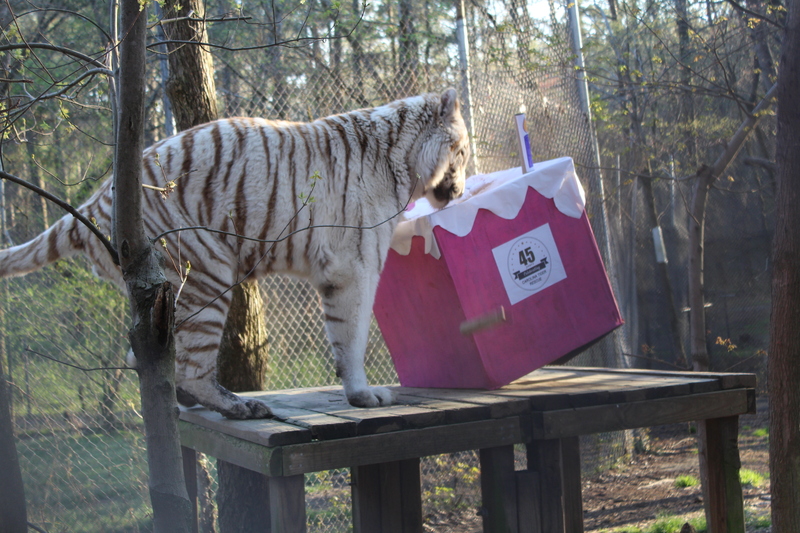 Saber enjoys enrichment shaped like a cake to celebrate 45 years of saving wild cats. 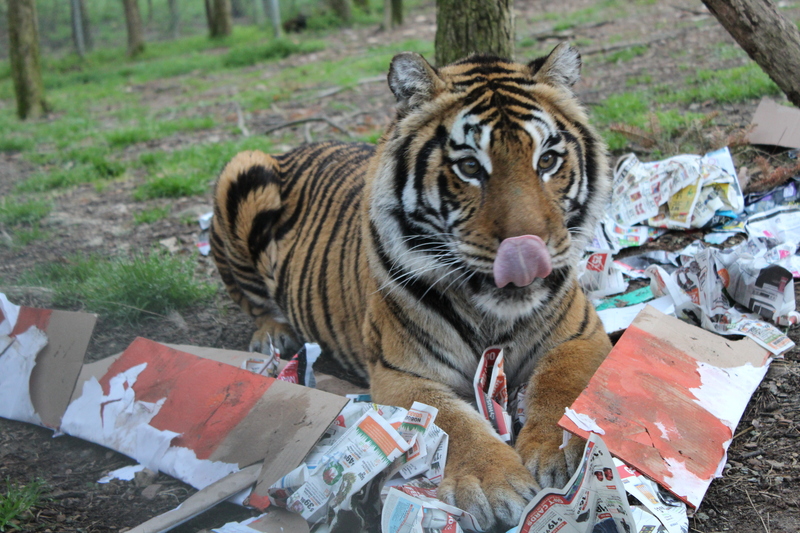 Moki has torn apart her enrichment “cake” and is enjoying the meat inside the boxes. Humans enjoyed the ACTUAL cake, made to look like a moon and cherry blossoms, made by Maxie B’s Bakery. Thank you again for supporting the animals. They wouldn’t be thriving without you!